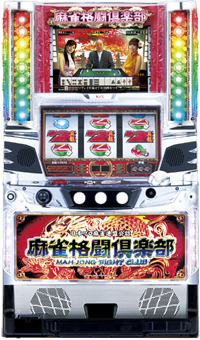 Today we will introduce Mahjong Kiden, a battle pachinko machine featuring a large number of famous voice actors. Famous voice actors like Aki Toyosaki, the voice of K-ON!’s Yui Hirasawa, and Aya Hirano, the voice of Haruhi Suzumiya from The Melancholy of Haruhi Suzumiya. 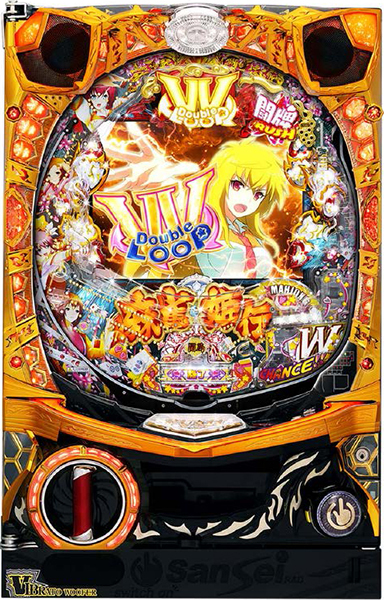 Not only that, it features pro Mahjong players to help boost the level of excitement. Also, when you hit a jackpot there is a good chance you will get two or more jackpots in what is dubbed the “V.V. Loop System”! 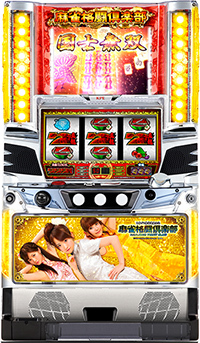 Experience the bliss of self sustaining jackpots! The awaited arrival is set for February 2nd. Try it out at a nearby pachikno parlor! !